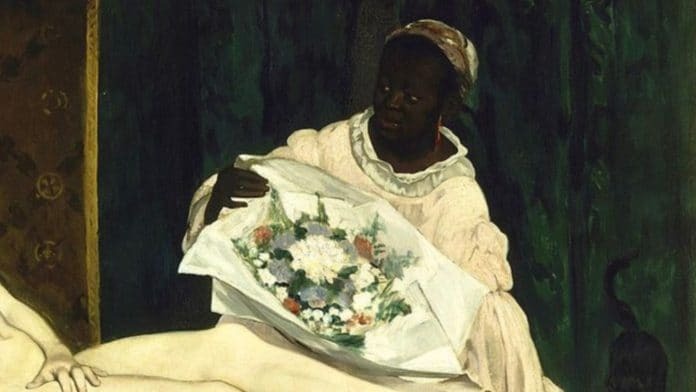 The prestigious Musee d’Orsay is holding a new exhibition to shed light on the often nameless Black models that appear in French paintings during the Modern era. According to Smithsonian.com, the presentation was inspired by an exhibition that premiered at Columbia University’s Wallach Art Gallery last October called “Posing Modernity: The Black Model from Manet and Matisse to Today.” Denise Murrell, a grad student, wrote a thesis of the same title, which grew from her frustration over the lack of scholarship around Black women in art. The show brought together over 100 paintings, sculptures, photographs and sketches for review in the study of overlooked Black models. The new exhibit has a similar purpose, but will focus more on the race components of France. According to Smithsonian, the goal of the showing is to shift the conversation toward sitters whose stories are only now being told and to interrogate the country’s own role in the global slave trade. Though slavery was abolished in France in 1794, it was reinstated by then ruler Napolean Bonaparte in 1802 and would not be abolished again until 44 years later. It also claims to explore mixed-race heritage in the country. One of the artists, Théodore Géricault, was reported to prefer a Haitian man named Joseph to model in his paintings. Another artist, Edouard Manet, described a Black model named Laure as a “very beautiful Black woman,” who was the maid depicted in his painting “Laure” and several other scenes. Smithsonian also notes that the “Portrait of a Black Woman” or “Portrait of a Negress” by Marie-Guillemine Benoist exemplifies the tension between treating Black subjects as individuals versus racist caricatures.